As for Alien's comment, I was told that this raid was directed by the city government, while previous enforcement was done on the district level. This next part is speculation, but I bet someone is in hot water right now for taking money to look the other way. All the vendors on Wenhuaxiang used to pay each night for their slots, and I'm pretty sure a large cut of that went upstairs somewhere, probably to the district chengguan. The problem with providing convenient parking for everyone is that more people will choose to buy cars or drive into the city when they would have otherwise taken transit. 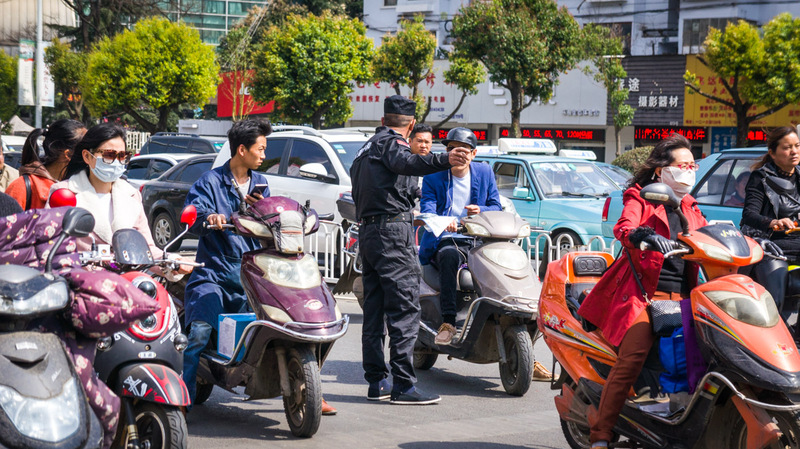 The standard fine for illegal parking is 150 RMB. Problem is, it's very poorly enforced. The streetside parking is also poorly managed. Those people are supposed to be keeping a lid on bad parking, but they will often direct drivers to double park, blocking the street, or even park on the sidewalks, so they can collect more money. "Taking the trees away to recuperate." 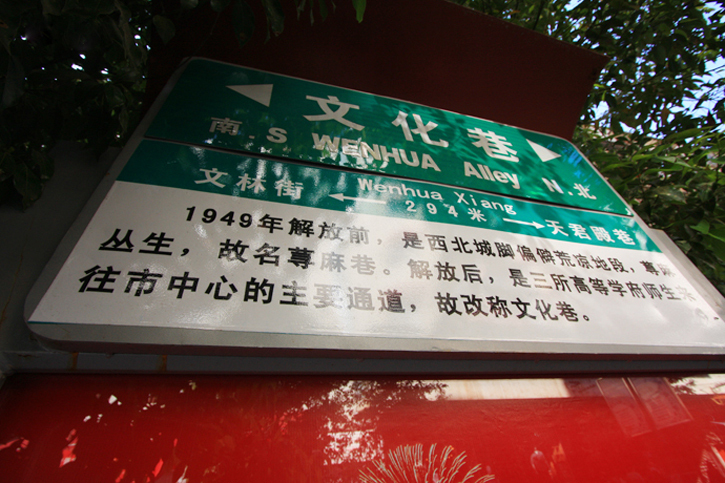 I didn't see them taking the trees from Xuefu Lu, but I've seen them removing them from other parts of town, and the workers were basically just chopping the trees to pieces. Based on what we've seen for the other metro lines, Xuefu Lu is going to be a mess for years. 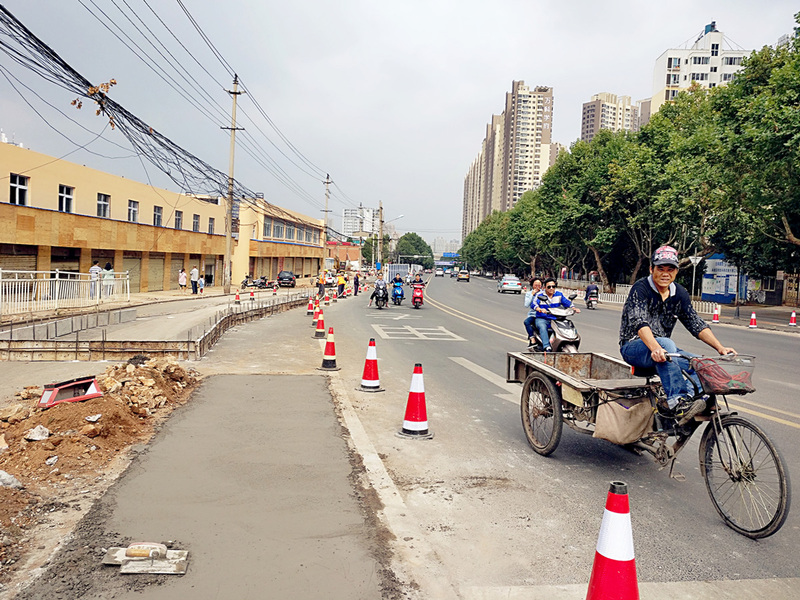 All of the problems they have complained about: bedrock, difficulty managing traffic, etc, are going to hit them at Xuefu in spades. There are also, if my sources are correct, extensive bunkers down there from WWII, which were probably expanded (without maps) during the CR. If they don't revert Yi Er Yi to two-way, that whole quadrant of the city is toast.